Here is a cool detail item that we just got in stock. 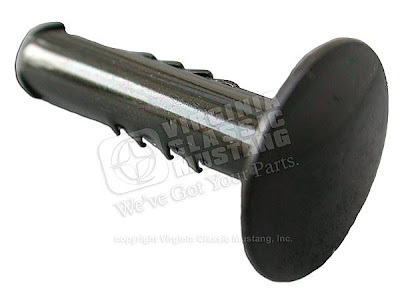 It is the original style firewall mat retainer for the 1965-67 Mustang. This part is metal just like the original. It also features the dark green original style finish.